We have heard about Russia’s relentless exercises and military buildup in the Arctic over the last year and a half, but the U.S. Army may now be beginning to follow suit. 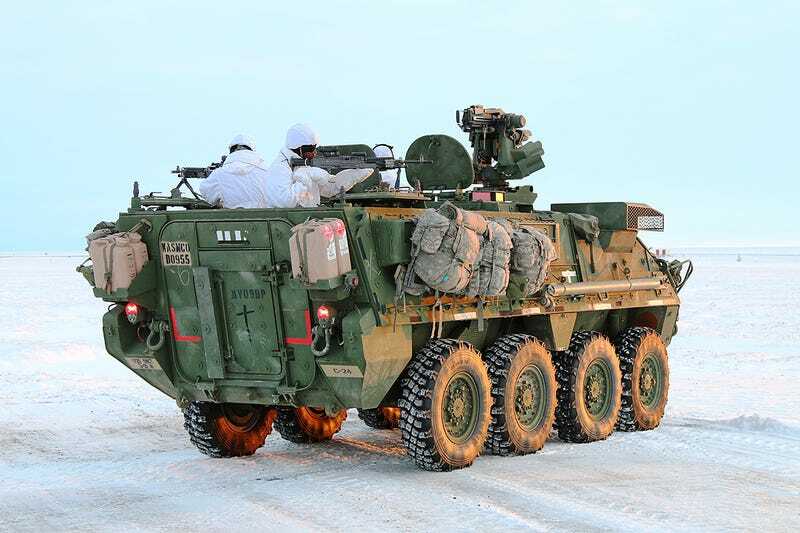 Under exercise Arctic Pegasus, the Army has sent Stryker armored combat vehicles to an outpost well within the Arctic Circle for the first time. Hitching a ride aboard USAF C-17 transports, a quartet of the Army’s 1st Stryker Brigade Combat Team’s Strykers and 40 soldiers deployed to Deadhorse, Alaska—a place located in the state’s northern extremes, where temperatures are in the double-digit negatives. This was not the first Arctic Pegusus exercise, but they have been more concentrated on dropping in light infantry and helicopter operations in the past. And although this deployment was comparatively tiny in comparison to Russia’s wide-spread arctic exercises, testing the Strykers at Deadhorse may be a sign that the Pentagon is preparing to spin up its capabilities to rapidly build up a more potent presence in the Arctic region than what has been envisioned in the past—something that makes a lot of sense, considering Russia’s intense interest and military presence in the region.